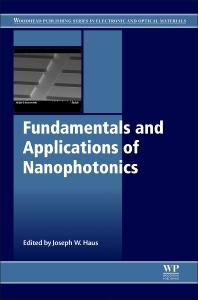 Fundamentals and Applications of Nanophotonics includes a comprehensive discussion of the field of nanophotonics, including key enabling technologies that have the potential to drive economic growth and impact numerous application domains such as ICT, the environment, healthcare, military, transport, manufacturing, and energy. This book gives readers the theoretical underpinnings needed to understand the latest advances in the field. After an introduction to the area, chapters two and three cover the essential topics of electrodynamics, quantum mechanics, and computation as they relate to nanophotonics. Subsequent chapters explore materials for nanophotonics, including nanoparticles, photonic crystals, nanosilicon, nanocarbon, III-V, and II-VI semiconductors. In addition, fabrication and characterization techniques are addressed, along with the importance of plasmonics, and the applications of nanophotonics in devices such as lasers, LEDs, and photodetectors. academics and postgraduate students in photonics, optics and nanoscience as well as those working industrially in nanotechnology, photonics, microelectronics, nanoelectronics, semiconductors, sensors, lasers, optical materials and devices, biology and nanomaterials. Joseph Haus is a professor and director of the Electro-Optics Program at the University of Dayton, USA.